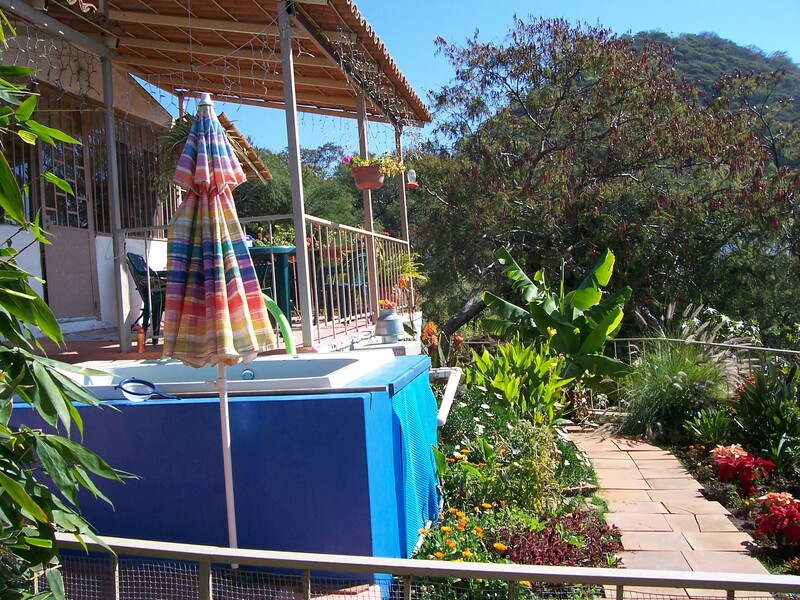 The following story was written by Gayle about an unfortunate incident she experienced during her and Ian’s time living at their house in Chapala, Mexico in 2006. 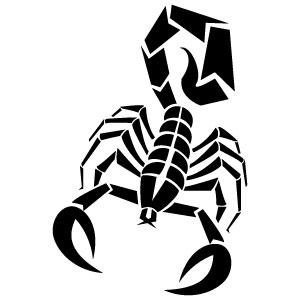 Scorpio may be my sign of the Zodiac, but that’s really all I ever wanted to have to do with the creatures! One March evening during our sojourn in Mexico we had just enjoyed a long moonlit soak in the hot tub when about 10 p.m. Ian went inside to refresh our drinks. I took advantage of his absence to get out my foam exercise “noodle” and do my daily aqua sit-ups. There was no question in our minds that I had encountered a very startled scorpion – and we weren’t about to look for it to verify our suspicions. We quickly dried off, got dressed and within a few minutes were off to the 24-hour Red Cross clinic at the other end of Chapala. By the time we got there (about 15 minutes later) it felt as if my entire arm and upper leg were on fire, my tongue was feeling “funny” and my lips were numbing, but luckily I had no swelling. I was rushed into a ward, put onto a bed and hooked up to an IV within a few minutes. Then came two huge syringes about 5 inches long and one inch in diameter. The combination of antihistamine and steroids gradually rid me of the mouth-numbing sensations but the excruciating stinging just kept up. About an hour and a half later I was released and we motored off to the nearby town of Ajijic, which has the only nearby 24-hour pharmacy, to fill a prescription for pain pills (which, incidentally, didn’t seem to me to help much). It was then midnight. I attempted to sleep but was so miserable and restless I knew Ian would get no sleep if I stayed in bed, so I went upstairs to our den with a window wall overlooking the lake and distant mountains and read through the night as best I could. The pain finally left my thigh (which sported two ugly red welts) by the following evening. The pain in the arm started to abate that first night but the finger itself just kept up that fiery stinging sensation for about 36 hours, although only a slight prick marked the spot. For the next couple of weeks my finger was totally numb; then, very slowly the feeling started coming back. Two months later, I just had a very slight numbness at the tip of the finger. A doctor friend of ours prescribed a “second generation antihistamine” tablet to keep on hand at all times. He says any subsequent scorpion sting would probably result in an even worse and quicker reaction so it’s important to be prepared and, before heading for a clinic, to take the medication. Exercising with my noodle on a non-scorpion evening. This entry was posted in autobiographical story, Health issues, Life, memoir, Mexico, Nature, Short story, travel and tagged Ajijic, anaphalactic shock, antihistamine, Chapala, crisis situations, health, hot tub, Lake Chapala, Red Cross, Scorpio, scorpion sting, steroids, unpleasant bugs. Bookmark the permalink. I’ve been surfing on-line more than 3 hours lately, but I by no means found any attention-grabbing article like yours. I was thinking about your Scorpian encounter and you were really, really lucky. Just the thoughts of encountering a Black Widow spider here gives me the creeps. Yes, I know I was lucky. As far as spiders went, we had more than we ever want to encounter again. A black widow spider lived in a web outside our front door but seemed quite content to just stay there in wait for her flying prey. We had a large “pet” spider that lived on our bedroom ceiling and would move only miniscule amounts each day but never bothered us. We named him Herman. The Mexicans seemed to think most of their spiders were good to have around as they took care of other nastier bugs. Ian did what we called “de-spidering” once a week. Perhaps I’ll have to blog about that in the future. And people have asked me why I am not interested in going to Mexico! And it isn’t just how the government treats its people. Those things terrify me to say the least. Amen to that, Ellen! And Happy New Year.